Jerry Frivance Sr, 71, of Beaufort, passed away on Sunday, December 2, 2018 at the Crystal Coast Hospice House in Newport. Mr. Frivance proudly served in the US Navy and was an awesome dad and grandfather. 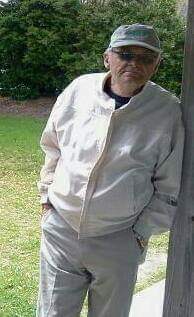 He is survived by his son, Jerry Frivance Jr and wife Rachel of Beaufort; daughter, Rosa Norris and husband Paul of Morehead City; grandsons, Dylan Frivance; Ryan Frivance both of Beaufort; Jacob Norris of Morehead City; granddaughter Kaylee Frivance of Beaufort; two brothers, Butch Frivance and wife Barbara of Maryland; Larry Frivance and wife Lisa of Beaufort; and sister, Patricia Horne of Philadelphia, PA. He was preceded in death by his parents, John and Rosa Frivance Sr; and brother-in-law, Ed Horne.